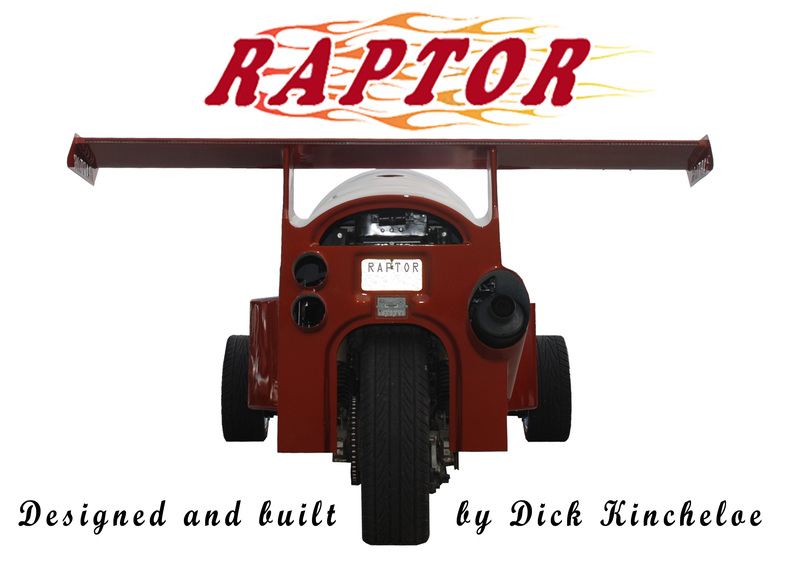 The Raptor is a custom built reverse trike, based on a Kawasaki ZRX1100 motorcycle with the front wheel removed, attached to a dragster style frame, with a Indy race car front end steering and suspension. 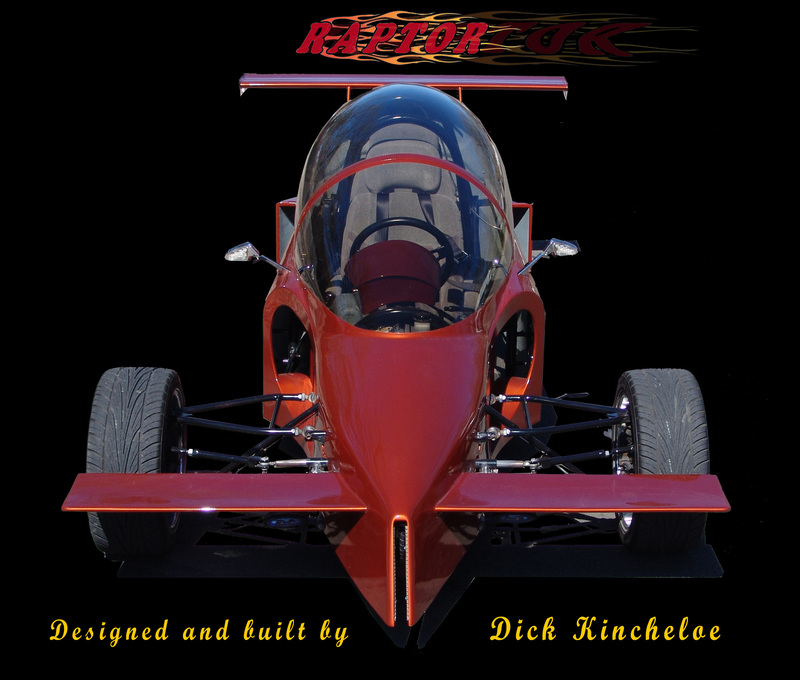 The body was designed around a F16 canopy, and is made of sandwich composite construction, consisting of aircraft grade foam, covered by fiberglass and carbon fiber. 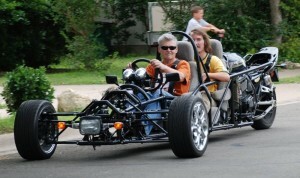 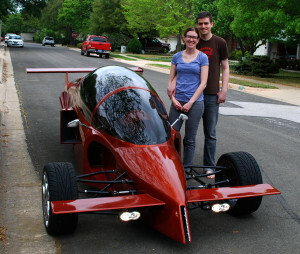 It is a one of a kind vehicle that I designed and built myself, in a two car garage at home. It took 5 1/2 years and approximately 3,500 man hours to build.